Roger Federer had already ensured his immortalisation among the greatest male players to ever pick up a tennis racket, but that was not enough for the Swiss star. Confounding critics who claimed that a barren spell in Grand Slams between 2013 and 2016 marked the eventual decline of a legend, Federer came blazing back from injury to triumph against his old foe Rafael Nadal in the 2017 Australian Open. This heralded a new era of dominance, with the name Federer synonymous once again with the fear factor that comes with playing against a shot-maker of his calibre. Federer’s resurgence and subsequent resilience prompts tennis players and commentators alike to question if the boundaries have been redefined for how long a career at its peak can last. Federer is a relative baby in comparison to Ivo Karlovic, the genial giant whose serve is among the most fearsome weapons in ATP history. Yet Karlovic is so reliant on that serve, and it is such a gigantic weapon that it has enabled the Croatian to prolong a career on the ATP tour at a level in which he can blow away top 50 opponents with his booming aces. Karlovic was never a Grand Slam contender, but with one precise and finely tuned shot his career has been extended to an impressive length. Federer has a serve that is often overlooked because everything else he does is so good, but undoubtedly that consistency on serve remains a key factor to his supremacy. Players with a more return-oriented game tend to lose their biggest weapons as their legs tire, but Federer has the serve to keep putting up a formidable resistance even when his legs ultimately give way. 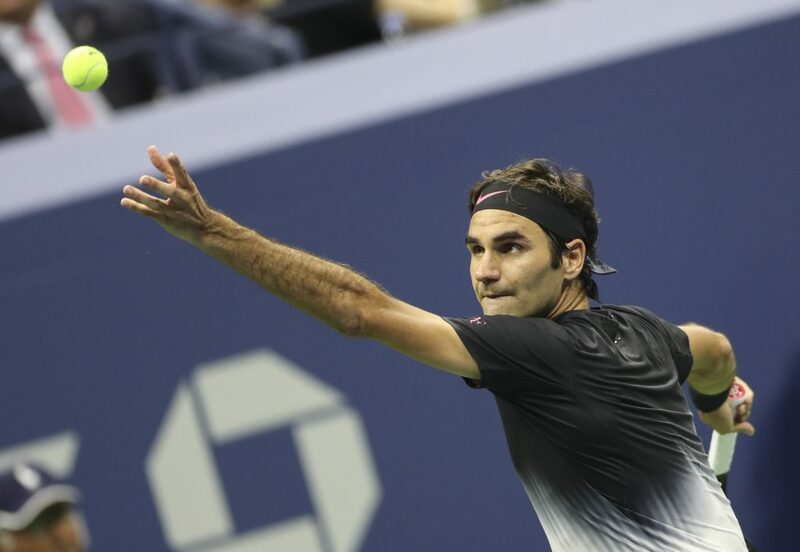 However, Federer has not transformed into a serving machine just to prolong his game. His groundstrokes and overall movement remain as graceful and powerful as ever. Perhaps this longevity has been secured by smart decisions in terms of workload; Federer’s 2017 was so successful it saw him finish the year second in the rankings, and yet the Swiss player missed the entire clay-court swing. Rafael Nadal has a monopoly on the French Open at Roland Garros, a justified favourite for any clay-court tournament that he enters. Federer knows he cannot compete with Nadal on the clay, so considered it a waste of time to enter any tournaments on clay just to finish runner-up at best. This strategy kept his legs and mind fresh, with Federer never as comfortable on clay as on hard courts or grass. By being careful with which tournaments to enter, Federer, Nadal and other veterans can prolong their career to previously unprecedented extents. Such is his supremacy on grass that Federer would likely be considered among the favourites of the Wimbledon outright betting market as long as he still enters the tournament. Federer could be fifty and at walking pace, and still walk on to the hallowed ground of Centre Court expected to blow away any opponent? With the next generation of superstars yet to express their Slam-winning credentials and many of Federer’s recent contemporaries at the top of the game hindered by injury, the Swiss great will see no reason why his dominance can’t last longer than even he could have anticipated. After strolling to victory in the 2018 Australian Open, two thoughts may have crossed Federer’s mind. Firstly, his passion for winning Grand Slams had not been eroded by passing time, and nor had his finesse and fire on the tennis court. Secondly, Ken Rosewall still held the record for being the oldest man to win a Grand Slam, having triumphed in the 1972 Australian Open at the ripe old age of 37 years and 2 months. Given Federer’s propensity for breaking records, it would take a bold person to predict just when the evergreen star will decide to hang up his racket and call game, set and match on the most illustrious career.